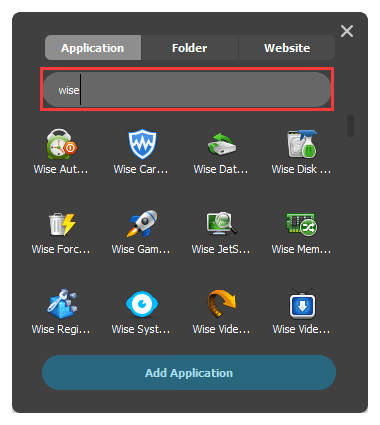 How to use Wise Hotkey to launch applications, folders and websites in windows rapidly? Wise Hotkey is a powerful hotkey managing tool for windows users. With its help, the users can easily to assign hotkeys to certain applications, folders as well as websites. Follow me to experience the convenience and efficiency that this program will bring to you. When launching this program, the users will be attracted by its clean and intuitive interface. Then, please input your name, email and license to activate it. It is clear that some of the folders and applications have been assigned with some combination keys such as “ALT + a number” which is from 1 to 9. But in order to meet different users demand, these combination keys are allowed to be changed and customized. 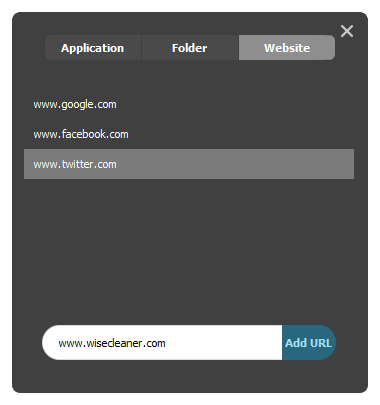 2, In addition, the users can Delete, Change or Add other apps/folders/ websites easily. You can delete the created items by clicking top right X symbol. 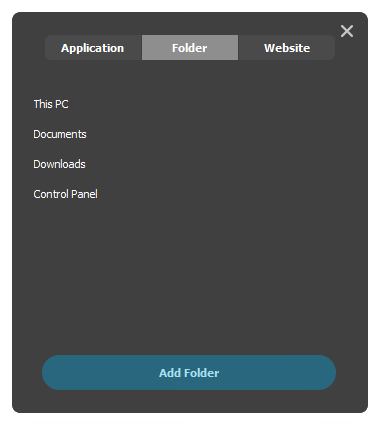 And then you will find a list of applications, folders, and websites by default. And, it will be more convenient for the users to search the application by inputting its keywords here. If you want to add other application / folder / website which can’t be found in the list, please click the big "Add" button at the bottom. Wise Hotkey also supports to quick launch network folders. 3, Right click the toolbar icons, you will find that there are several options here, especially for showing or disabling Wise Hotkey. Any feedback or suggestions about Wise Hotkey, please submit via the support center, or email to us. What key combinations can I use to set as hotkey? When I try to change the shortcut for a program, but it doesn't work. Why? Why can't I set Alt + anykey as hotkey? 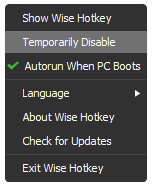 How do I change the language of Wise Hotkey?